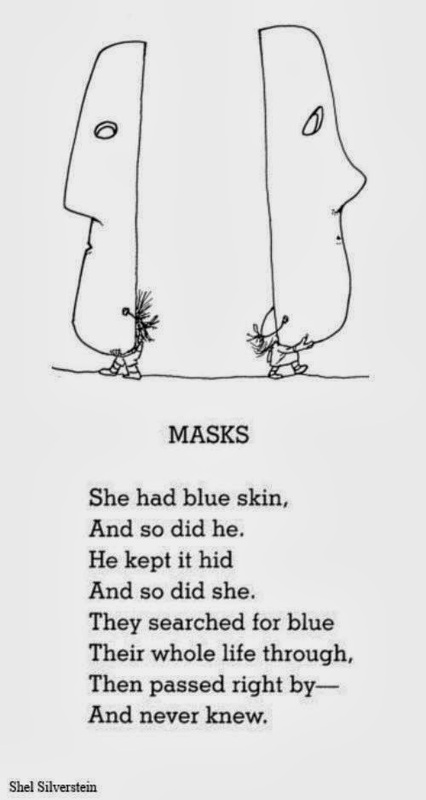 I have always loved the simplicity of Shel Silverstein's work. His messages are always right there in front of you, but they also so very subtle. Don't confuse his poems and books as just for children, there are messages that we adults can learn from his work too, especially in light of what's been going on recently in this world of ours.